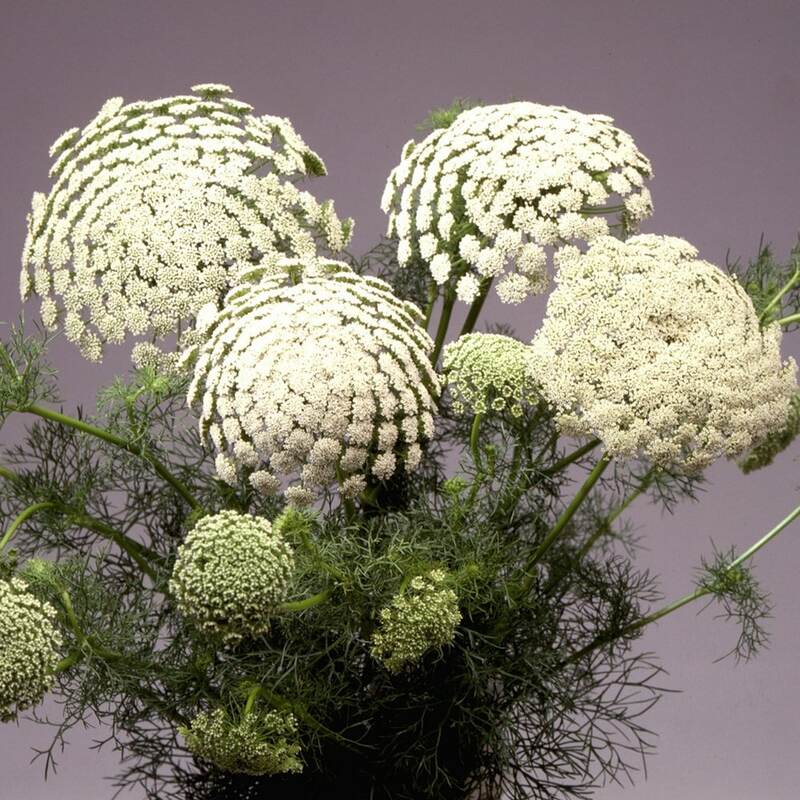 Mounds of finely cut, filigree foliage clothe sturdy, upright stems that are topped with big (up to 12cm across) flower clusters. Initially flattened and lime green, these flowerheads gradually become dome-shaped, and open to greenish-white flowers. Their colouring acts as a wonderful foil for intense shades of plum and purple and the flowers last well after being cut and added to the vase. Garden care:Ammis may need staking - particularly in more exposed positions. Avoid cutting back some of the flowers before they have had a chance to set seed if you want to sow them for the following year.